Finally it’s spring! After the longest coldest winter here in Boston, finally there’s muscari, crocuses, daffodils, lots of birdsong, and buds getting ready to burst on trees. Delphi is thrilled to welcome Spring with interviews with two poets who hold Nature at the center of their work, Margaret Rozga, also a civil rights activist and playwright who looks deep into the heart of growing things, and Barbara Crooker, a poet who writes about her son’s autism and about the world with deep attention and keeping joy at center. Our riches this issue include two New York writers, Sid Gold, whose thoughtful, imagistic poetry of life, loss, and gain spins stories and images that recreate people and place with wry humor and affection, and Stephen G. Eoannou whose award-winning stories paint insightful pictures of men and their inner and outer lives. All our writers this issue are inspiring, not merely for their writing accomplishments–which are many–but for the words they offer, for the passion, persistence, and authenticity in their work and approaches to writing. We also inaugurate a new feature this issue, Writers’ News–feel free to send in information on your new publications, events, books to showcase here. Please look below or click on Current Issue for more. Delphi‘s Interview Connector model continues with this issue, with our first series of Round-Robin Interviews from the small press Word Tech Communications, a well-known poetry publisher with several excellent imprints. Thanks to poet and writer Tina Kelley for initiating this series, and we look forward to featuring a talented group of Word Press writers as they introduce each other’s work through Delphi interviews. This issue starts off the series with interviews of Barbara Crooker and Margaret Rozga. Poet Wendy Wisner interviews Margaret Rozga, and Margaret Rozga interviews Barbara Crooker. We look forward to featuring an interview with Wendy Wisner soon. Santa Fe Writers Project Press also returns, with an interview by Beth Uznis Johnson with Muscle Cars author, Stephen G. Eoannou. Essentially, every writer appearing here in Delphi is invited to interview a writer he or she knows, a model we also call on every previously-profiled writer to follow! Whether a short interview or a long one, we’d appreciate hearing about the writers you know. Delphi aims to step beyond the cacophony of voices of conventional “power” in the news to highlight the voices of the truly powerful thinkers, artists, actors, and visionary dreamers among us, however widely or slightly published or known they may be. This feature was inaugurated recently by editor Ramola D ((Marching) Toward a New Freedom). We are looking for op-eds, on a subject of your choice. Please send a brief query, if interested. Delphi hopes to expand over this year into a full literary quarterly (publishing fiction, poetry, and creative non-fiction, in addition to interviews and op-eds), while also seeking non-profit status and funding. Delphi is in other words seeking to pay its writers and interviewers! Delphi, a labor of love so far, is also seeking funding! If you’d like to be part of this expansion in some capacity, please drop a line. Delphi Quarterly is pleased to present a slew of interviews this issue, with three inspiring and accomplished poets and one inspiring and accomplished fiction writer. A common thread in these interviews is the great importance of revision, testifying to which, a quality all these writers share is award-winning work. Welcoming spring with their poetry that touches on rising, renewal, and joy are two extraordinary poets, Margaret Rozga, who brings her civil rights experience and activism into her work with gardens, images and words, in her new book Justice Freedom Herbs, and Barbara Crooker, who rises beyond experiences of difficult material challenge such as her son’s autism to write poetry that pays attention to the world, Nature, and pursues joy, as collected in her new Selected Poems and Small Rain. New York natives Sid Gold and Stephen G. Eoannou bring urban sensibilities to bear in their poetry and fiction; Sid Gold works extensively with image and language in wry narrative, lyric, and tessellated prose poems that bring his experience of place alive, whether the Bronx or Baltimore, in his recently-released third poetry collection Good with Oranges. 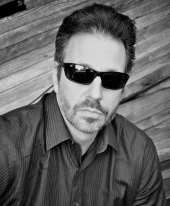 Stephen G. Eoannou writes strikingly of Buffalo, cars, men who carry their burdens deep inside and their relationships, families, and flaws in his just-released and award-selected short fiction collection, Muscle Cars (2013 Runner Up in the Santa Fe Writers Project Literary Awards Program for Fiction). Many thanks to the dedicated writer-interviewers, Wendy Wisner, Margaret Rozga, Beth Uznis Johnson, who took time from their own writing to work on these compelling and insightful interviews. Margaret Rozga talks with poet, essayist, and writer Wendy Wisner about her poetry, her activism, her work teaching poetry in the schools, her gardening, and the genesis and revising of poems in her new book Justice Freedom Herbs. Barbara Crooker shares her thoughts on pursuing joy, reading, writing, and revising poetry, and the creation of poems in her books, Gold, Radiance, the Selected Poems, and Small Rain with poet, civil rights activist, and playwright Margaret Rozga. Sid Gold talks with Delphi editor and teaching colleague Ramola D about his narrative and lyric poetry, his bent for revision, his use of wry humor, and the rhythms of jazz in his new book Good with Oranges. Stephen G. Eoannou talks with fiction writer and editor Beth Uznis Johnson about the characters he writes about, the glimpse into their inner lives through fiction, and about the art of revision in his new book Muscle Cars. Reading these interviews leads inevitably to wanting to savor these writers’ work; Delphi offers links at the end of each interview to some of their work online as well as to their presses–don’t hold back, order their books! 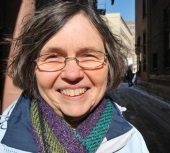 Poet, playwright, and social justice advocate Margaret Rozga is an Emeritus Professor of English at the University of Wisconsin, Waukesha, where she taught creative writing and multicultural literature. Her play March On Milwaukee: A Memoir of the Open Housing Protests has seen four full-length productions and numerous concert readings. She transformed scenes from the play into the poems of her first book, 200 Nights and One Day (Benu Press, 2009). Her other books include Though I Haven’t Been to Baghdad (Benu Press, 2012), and most recently Justice Freedom Herbs (Word Tech Press, 2015). She served as managing editor of the poetry chapbook anthology Turn Up the Volume: Poems About the States of Wisconsin. 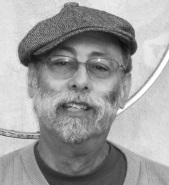 A native New Yorker, Sid Gold is a two-time recipient of a Maryland State Arts Council Individual Artist Award for Poetry, and a first prize winner in the California Poetry Society contest. Poems of his have appeared recently in Poet Lore, Loch Raven Review, the Southern Poetry Review, the Cimarron Review, Tar River Poetry, Free State Review. His third book, Good With Oranges, is forthcoming from the Broadkill River Press. He is the author of two earlier poetry collections Working Vocabulary and The Year of the Dog Throwers. He teaches creative writing at The George Washington University and lives in Hyattsville, MD. 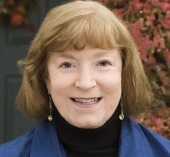 Barbara Crooker’s poems have appeared widely, in magazines such as The Green Mountains Review, Poet Lore, The Denver Quarterly, and anthologies such as The Bedford Introduction to Literature. Her poetry has been read on the BBC, the ABC (Australian Broadcasting Company), and by Garrison Keillor on The Writer’s Almanac. Her prizes include the 2006 Ekphrastic Poetry Award from Rosebud and the 2004 WB Yeats Society of New York Award. Her books are Radiance, which won the 2005 Word Press First Book competition and was a finalist for the 2006 Paterson Poetry Prize; Line Dance (Word Press 2008), which won the 2009 Paterson Award for Literary Excellence; More (C&R Press 2010); Gold (Cascade Books, a division of Wipf and Stock, in their Poeima Poetry Series, 2013); Small Rain (Purple Flag, an imprint of the Virtual Artists Collective, 2014); and Barbara Crooker: Selected Poems (FutureCycle Press, 2015). Stephen G. Eoannou‘s first story collection, Muscle Cars, was released April 1 by the Santa Fe Writers Project. These stories have appeared in literary journals and magazines including The Saturday Evening Post, Hayden’s Ferry Review, Rosebud, and The MacGuffin. His work has been nominated for two Pushcart Awards, awarded an Honor Certificate from The Society of Children’s Book Writers and Illustrators, and honored with the Best Short Screenplay Award at the 36th Starz Denver Film Festival. He holds an MFA from Queens University of Charlotte, an MA from Miami University, and has taught English at both Ball State University and The College of Charleston. He lives and writes in his hometown of Buffalo, New York, the setting and inspiration for much of his work. As Delphi steps further into 2015 with this Spring issue–we invite writers, poets, memoirists, essayists, playwrights, and filmmakers everywhere to join us–interview a fellow/sister writer or filmmaker, write an op-ed on a current issue of your choice, offer us insights into your writing residencies, centers, and workshops! If you have been interviewed in these pages, we invite you to join the Interview Connector, to follow up with an interview of your own, to introduce a wonderful and deserving writer you know to a larger audience. Or, if you run a small press, consider setting up Round-Robin interviews with your best writers, where writers interview each other.Please drop in at our Guidelines page, send us your thoughts. We want to hear from you! « Welcome to Delphi’s Third Year!